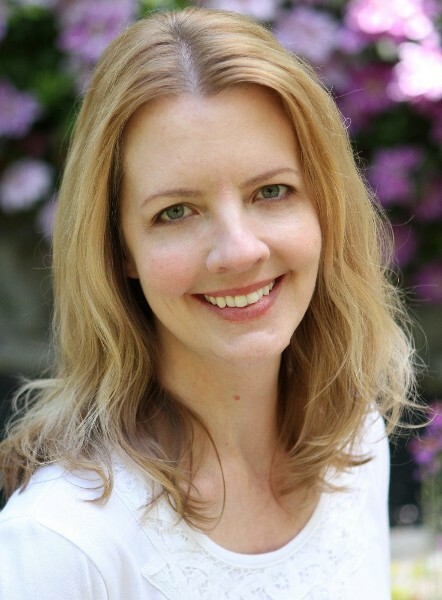 Today’s guest host is Lori Benton, author of Burning Sky. Lori agreed to share her path to publication story with readers, and it’s an amazing and inspiring one. Contest Alert! 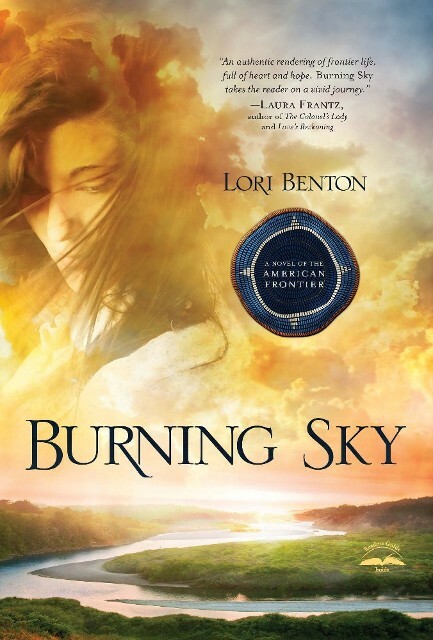 Lori has generously agreed to give away a signed print copy of Burning Sky. Leave a comment to enter, and one winner will be randomly drawn from the comments. Contest limited to USA residents. Don’t forget to include an email address so you can be notified if you’re the winner. A question I’m often asked is “When did you know you were a writer?” I was nine years old, and an avid reader, when my best friend announced she’d written a story. She let me read it. It was a moment of revelation: anyone, whenever they felt like it, could write a story about whatever they wanted. My perception of “author” broadened from the narrow notion of entitled and (somehow) permissioned grown-ups to include a little girl, crazy about Native American stories and wolves, living in a Maryland suburb. 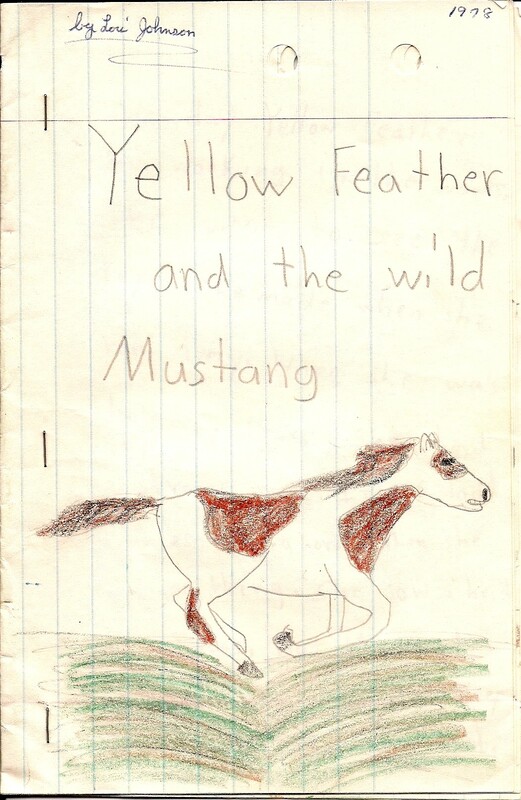 I promptly wrote and illustrated Yellow Feather and the Wild Mustang (thanks to a grandmother who saved that story, dated 1978, I still have it). I never lost interest in storytelling from that day, and frequently entertained notions of writing a novel. Though I wrote stories now and then, writing took a backseat to painting for a few years after high school and art college. In 1991, married and in my mid-twenties, I decided it was time to write that novel I’d been dreaming about since my teens. I’d never met a published author, read a writing craft book, or heard of writer’s conferences. I didn’t own a computer. I sat down with what I had, pen and paper, determined to write the kind of novel I liked to read. With that novel still in progress, in 1993 my husband and I moved to Oregon, where I met members of Oregon Christian Writers, and the world of Christian fiction opened to me. Except for one rather important door: publication. While Burning Sky is my debut novel, it was the seventh or eighth I’d written since that first begun in 1991. During the 1990s, as I’d finish each novel, I’d send a query or proposal for it around to publishers. I even tried writing a few articles. By 1999 I had a perfect record of rejection, and I was getting tired. But that tiredness didn’t stem only from having written for so many years without the kind of result I’d hoped for. On March 26, 1999, I was diagnosed with Hodgkins Lymphoma, a cancer of the lymphatic system. I set aside the novel I was working on—a contemporary story set on the Oregon coast, featuring a character called Neil MacGregor—and focused on getting well, through rounds of chemotherapy and radiation. By the fall of that year I was declared in remission. Healed and thankful for it, I anticipated getting back to the story set aside months ago. I missed writing. It was time. Only it wasn’t. By the following year, 2000, my hair was growing back and I appeared to be a healthy 31-year-old woman. Actually I was a bewildered, frustrated writer about to give up on ever writing again—at least the kind of novels I’d written before the cancer treatment, and still wanted to write. I was experiencing chemo fog, a common side effect of treatment. One of the themes in Burning Sky is redefining oneself after significant loss. Many of the characters in the story are on that journey, but Neil MacGregor, the Scottish botanist aided by Willa Obenchain, has a journey that in some respects mirrors my own. I mentioned I created Neil as the hero of a story different in genre and setting from the one he now inhabits. While the losses Neil suffered in that early manuscript are very close to what they are in Burning Sky—due to a debilitating head injury—the way in which I envisioned him responding to them was vastly different. That was before the chemo fog. Here’s what chemo fog looked like for me: anything resembling concentration was beyond me; my memory for things like plot threads and character arcs was almost nonexistent; I couldn’t retain anything I read by way of research and had to keep reading the same material over and over. After a year or two of frustrated attempts, I reached the dispiriting conclusion that I was too damaged to write. A vital part of my identity was lost. For all I knew, forever. But God was doing a work in me, a long-term work of submission and trust, of giving my heart’s desire to write (not to be published, simply to write) completely into His hands. I asked Him more than once to take away that desire. He didn’t. I continued to pray, and wait. It would be April of 2004 before the fog lifted and I felt ready to attempt another novel. Along with working to regain the discipline of daily writing without pushing myself too hard, or letting it overwhelm me—still in a rather fragile mental state—I gave myself a crash course in Colonial, Revolutionary, and early Federal American history, having chosen this as the setting I wanted to write in. Three years later I completed that novel. I celebrated. Then I wondered… could I do it again—maybe a bit faster this time? I looked around for a likely character, and there waiting for me was Neil MacGregor. He’d never been far from my heart, but my heart was well rooted in 18th century America now. Happily, Neil made the transition. As I began writing a new story for him to inhabit, I found I’d gained a different outlook on Neil’s losses and challenges. God hadn’t taken away his heart’s desire to be a botanist, even as He didn’t take away my passion to write when the ability was absent. But Neil is no longer the defeated, self-pitying character I originally allowed him to be. He is aware of the challenges that stand between him and his goals. At times he still struggles. Yet he possesses a faith that’s been refined through loss and a subsequent submission to God’s will. He’s not afraid to step out in his calling, and trust that God is going to supply his lack. It’s been a blessing to watch my own journey reflected in his. While I was writing Burning Sky, I was submitting my work again, this time to literary agents. I signed with my agent in 2010. My first offer for a contract came in December, 2011, twenty years after I sat down with pen and paper to see if I could write a novel. I signed that contract on March 26, 2012, thirteen years to the day I heard that word cancer. My brain still isn’t as sharp as it was pre-chemotherapy. Perhaps it never will be (I’m not getting any younger). But when I consider the fact that I’m writing at all, I know it’s not by my strength, but God’s (Philippians 4:13). I’m thankful each day for the strength, time, and mental acuity He’s lent me to get these stories out of my head and onto the screen. God’s timing and path are right for each of us on this writing journey—any journey in life. Looking back, that path for me was long, with detours I didn’t want to make at the time. But it was the right path. I wouldn’t change it now. Lori has generously agreed to give away a signed print copy of Burning Sky. Leave a comment to enter, and one winner will be randomly drawn from the comments. Contest limited to USA residents. Don’t forget to include an email address so you can be notified if you’re the winner. This entry was posted in Guest Host, Writing and tagged Burning Sky, cancer of the lymphatic system, chemo fog, Hodgkins Lymphoma, Lori Benton, Neil MacGregor, never give up, Writing by christicorbett. Bookmark the permalink. Life presents many different challenges and once they are met head on, life’s path open up. Thank you for sharing part of your life journey. My pleasure, Karen. Thanks for stopping by to read and comment! Blessings to you! Thank you for sharing your inspiring story. Best wishes with your new book. Thank you, Sherry! Blessings to you. You are so welcome. I hope my writing journey will be of encouragement to others along this path. Even when there aren’t as many dramatic delays as I’ve had, the waiting involved isn’t easy. Thanks for reading that long and winding account, and for commenting! Blessings to you! I love your testimony, Lori! You are such an inspiration – so glad you allowed the Lord to guide you, & that you didn’t give up, on your dream! I would love to read Burning Sky – thanks for the opportunity to win a copy! We follow a good God. Thanks for stopping by Bonnie! Lori, I had no idea your story was like that. I can’t believe you overcame such a challenge. Hats off! Your book sounds marvelous, and I can’t stop looking at your stunning cover. It is a beautiful cover. I was so happy when I saw it I danced around the room, and maybe cried a little. A writer dreams of her first cover. It’s a very little bit like seeing the face of your baby for the first time, I would imagine. Just reading “a perfect record of rejection” makes me want to…AGH! Scream, I guess. Your writing is so well-researched, so beautiful…just goes to show pubs don’t always pick up the best authors right out of the chute. But those who stick with it will reap, I’m convinced. So thankful God opened the doors for you, Lori! And thanks for encouraging those of us who’ve gone through those waits and have been ready to give up. I very much enjoyed reading about how you became published. I have been wanting to read your novel, because the time period is one of my favorites…and I always enjoy discovering new authors I can enjoy. The contest is now closed. A winner will be selected today at around 2:30pm (Pacific Time) when my twins get off the bus and can pull the name out of a hat. Thanks everyone for stopping by to support Lori! And she’s picked #4, who is Bonnie!